Mackenzie Vollans is 17 years old and has been riding her entire life, when she was 6 mac-wave-croppedshe rode in parades with the Canadian Cowgirls and pursued Trick Riding at the young age of 9. At the age of 10, Mackenzie took on the art of Trick and Fancy Roping and has excelled as a Trick Riding and Trick Roping performer. 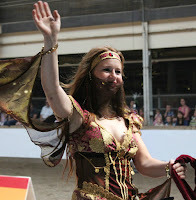 She has performed in many major events such as the Equine Affaire Fantasia show in Springfield Massachusetts, the Ram Rodeo Tour, and the Royal Agricultural Winter Fair in Toronto Ontario. Mackenzie rides the western discipline but will throw on an English saddle every now and again for fun. As a founding member of Off Kilter Equine Entertainment, Mackenzie puts her skills into play as a Trick Riding, roping, and drill coach. When she’s not hanging from the side of her horse or swinging a loop, Mackenzie enjoys teaching riding, Trick Riding, and Trick Roping lessons as well as, training horses, both her own and taking on new prospects. Mackenzie has worked with clinicians, she loves learning as much as she possibly can, she has taken in information from Charro Roper Jerry Diaz, Tom Bishop, Spencer Elizabeth Rose from The Riata Ranch Cowboy Girls, and even Tommie & Chantal Turvey! Mackenzie’s equine partners are two beautiful Pinto geldings named Aztec and Scout, and an Appaloosa mare named Calypso! Together Mackenzie, Aztec, Scout and Calypso are looking forward to performing with HorsePower Live and are excited to meet all of you! Noah Vollans is 15 years of age and has been riding since the young age of 5. When he noah-hippo-croppedwas 9, Noah took on Trick Riding and Trick Roping and at the age of 11, Noah began the art of Whip Cracking. Previously Noah has performed at many local venues and has most recently performed at the Royal Agricultural Winter Fair Toyota Rodeo in Toronto Ontario. Noah has performed with the Ram Rodeo Tour and enjoys the incredible energy from the crowd. 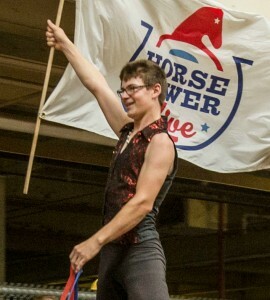 Noah, alongside his sisters, is a founding member of Off Kilter Equine Entertainment and enjoys being the whip cracking coach. Noah has worked with the amazing Jerry Diaz and Tom Bishop who helped him excel even further with his roping. Noah’s partners are a 6 year old grey Quarter Horse gelding, Zephyr, who is now learning to become a Trick Riding Horse and a 6 year old Palomino Quarterhorse gelding named Dexter. As the season goes on, Noah is looking forward to seeing you all down the trail. Brittnee Vollans has been riding her whole life and rode for many years with the out-flag-drill-croppedCanadian Cowgirls Precision Drill Team. Brittnee has travelled across the country Trick Riding and entertaining crowds from Massachusetts to Pennsylvania and all over Canada, meeting and working with some incredible performers such as Tommie Turvey, Sally Bishop, Tom Bishop, Denny Chapman, Rick Wheat, Eric Martonovich, Laura Mendez, Mary Rivers, and The Riata Ranch Cowboy Girls from California! 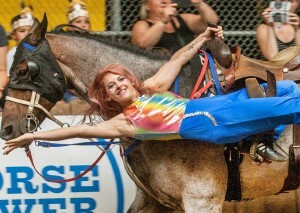 Brittnee is a founding member of Off Kilter Equine Entertainment and performs her trick riding stunts with great passion as she helps demonstrate for newer riders. Brittnee’s equine partner is a handsome Bay Roan gelding named Bayou, Brittnee and Bayou have been Trick Riding together for 8 years and are excited to work with HorsePower Live and perform for incredible audiences all over. Jennifer Coatsworth has been riding her entire life. 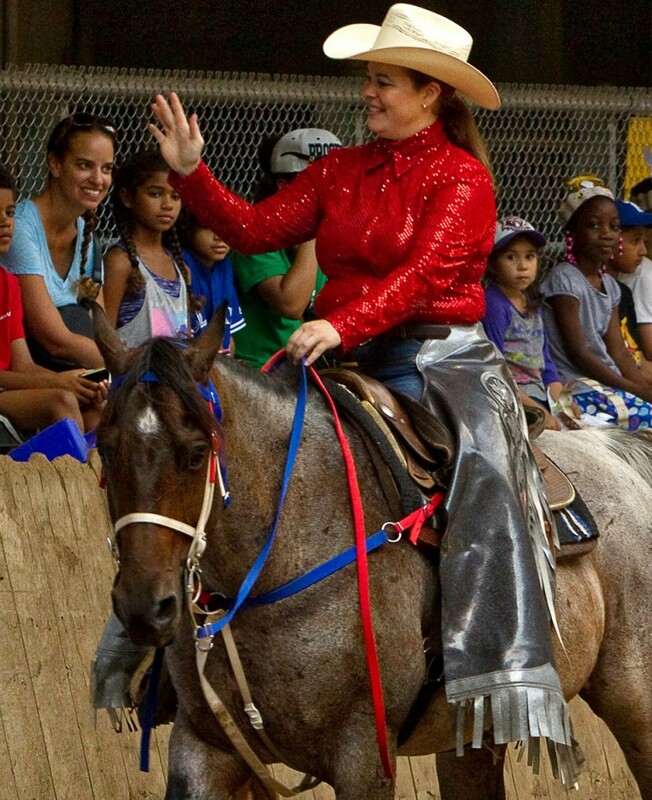 Jennifer rode with the Canadian Cowgirls for many years and performed precision drill at many large venues such as Equine Affaire in Springfield Massachusetts and in Ohio, and the Calgary Stampede. 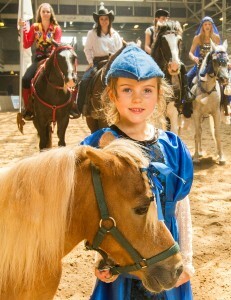 She is now a member of Off Kilter Equine Entertainment and uses her experience to help the younger riders out. Jennifer has been to many world known training clinics and enjoys taking these practices into her own hands as she works with new and young horses. Jennifer enjoys watching Clinton Anderson, Tommie Turvey, Cynthia Royale and Carole Fletcher’s horsemanship tricks. In the past year, Jennifer has taken on the art of Trick and Fancy Roping and is coming along well with her Texas Tommie, Flat Loop, Butterfly and Wedding Ring. 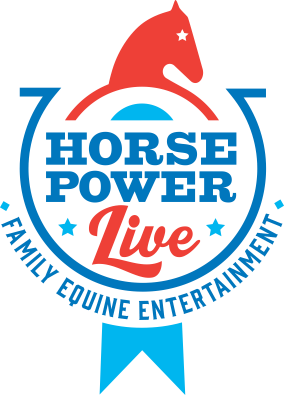 Jennifer is very excited to perform with HorsePower Live in the upcoming season! Madelynn Waters‘ performing career began with Off Kilter Equine Entertainment. maddie-arabian-waveMadelynn has excelled as a drill rider and hopes to become a trick rider one day! In her spare time, Madelynn enjoys riding our Arabian horse Bliss and absolutely loves to perform for all of you! As this show season goes on, Madelynn is excited to perform and meet everyone along the way! 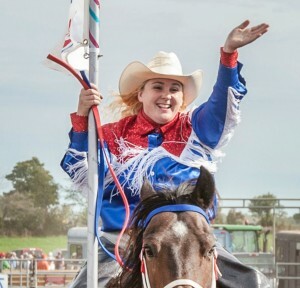 Megan Rayment was “born in the saddle”. Megan has been riding since a very young age megan-trick-1-croppedand rode Rocky Mounted horses her whole life. 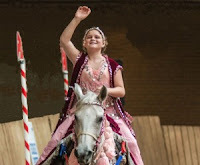 Megan began her Trick Riding Career with Off Kilter Equine Entertainment and spent time in Texas with Austin Anderson and the Texas Trick Riders. 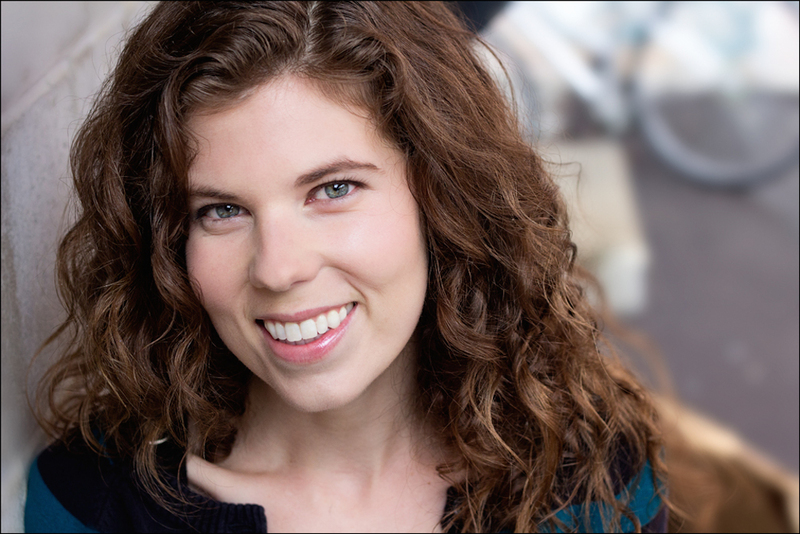 In her spare time, Megan enjoys working with silks and doing different stunts. Megan is so excited to perform with HorsePower Live! Richard Brett began his performing career with Off Kilter Equine Entertainment as a drill richard-croppedrider. 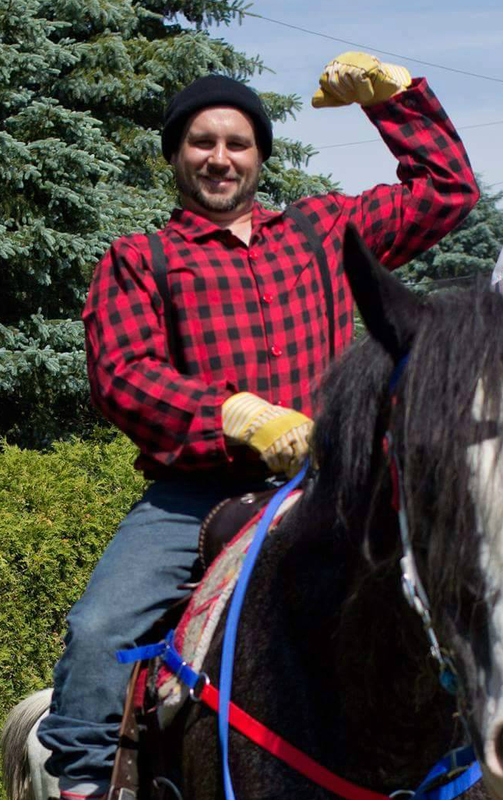 Richard enjoys going on occasional trail rides in his spare time, and doing gaming events with us at HorsePower Live! Richard’s equine partner is a Quarterhorse mare named Memphis, Richard has started the art of trick roping and is excited to perform for all of you! 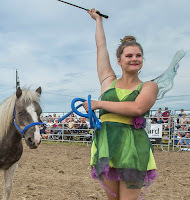 Tristyn Zuiderveen has been riding horses for three years and decided to join Off Kilter Equineout-pablo-pesestal-cropped Entertainment in the performance world. In her spare time, Tristyn enjoys putting herself to the test as she practices her gymnastics stunts. Tristyn enjoys going for long trail rides and doing gaming events such as barrel bending and down and back! As her career goes on, Tristyn is hoping to add trick riding to her performance as she grows with us here at HorsePower Live! Jocelyn LeBoeuf has been riding since a very young age, Jocelyn spent most of her riding career competing in local shows doing events such as western pleasure, halter classes and showing off her love in horsemanship. 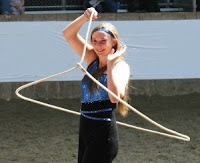 Jocelyn joined Off Kilter Equine Entertainment in 2010 in hopes of becoming a trick rider. Jocelyn’s equine partner is a 8 year old gelding named General Lee! Together Jocelyn and General have been trick riding and performing all over and are excited to perform for all of you with HorsePower Live! 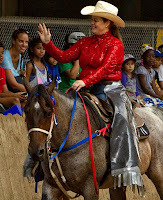 Chenah Paxton kicked off her performing career with Off Kilter Equine Entertainment as a drill rider. Chenah enjoys doing gaming events and is working hard to fulfill her dreams of becoming a trick rider! As the season goes on, Chenah is looking forward to seeing you all along the trail of HorsePower Live! Jordan Coatsworth has been riding her entire life, competing in western pleasure at a very jordan-croppedyoung age and then switching over to the english discipline. Jordan spent 8 years competing in english shows as a jumper and added dressage and cross country to her agenda. Jordan has recently migrated back into the western riding discipline as she joined Off Kilter Equine Entertainment as a drill rider. Jordan enjoys spending time with her horse Comanche, working on drill maneuvers and preparing to put on a spectacular show for you! Valerie Clark-Millar has just recently joined us as a performer with HorsePower Live! valerie-croppedValerie enjoys spending her time with our Miniature horses, Pablo and Nico, as well as doing a little bit of riding here and there! Valerie is so excited to share her love of performing with everyone at HorsePower Live! There are things only a horse can do. And thrilling audiences is one of them! – Paul McDonald, Manager, Sydney Horse Expo, Sydney, N.S.